Come see Mickey and the gang @ ''Minnie'' prices #2!!! Our condo has its own unique personality, a master bedroom with wicker style furniture. The master bedroom has a view of one of three ponds on the property, with many varieties of water fowl. A childrens' Disney themed bedroom, along with many of our personalized touches will make this condo your home away from home. 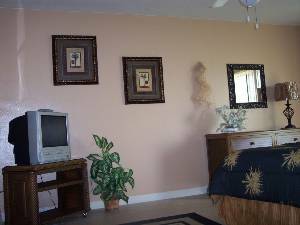 Sweetwater Club Condos... Beautiful three bedroom, two full bath condo located in Kissimmee, Florida. 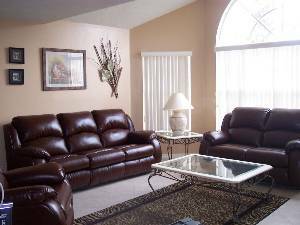 The condo will sleep eight people, there is a sleeper sofa in the living room. From our condo it is approximately 5 minutes to Walt Disney World, 10 minutes to Sea World, and 15 minutes to Universal Studios. 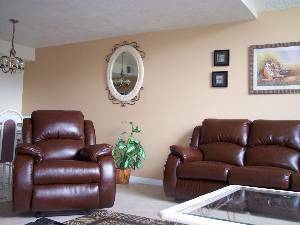 Our condo is very convenient to shopping and restaurants as it is only a few miles off Rt. 192. 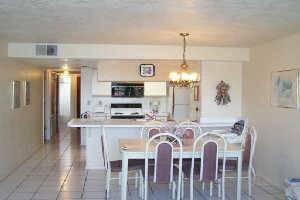 Our condo is an lower one level unit with partial cathedral ceilings and it has a very open feel. We are just a few steps from the pool, clubhouse, tennis courts and volleyball. We are offering quality accommodations at family prices, so that everyone can enjoy the magic of the Disney area. Our condo is fully licensed by the State of Florida. We had a great stay here ! Clean, safe and enjoyable ! Close to everything ! Fully recommended ! This was our 3rd year coming to Orlando, and we stayed at the condo each time. My children think they own the place and almost cried when it was time to leave. I can't express enough about the comfort and convience of this rental. You are near everything without being in the middle of all the hustle of noise and crowds. We are planning another trip again and only want to stay here!!!!!!!!!! Thanks, from the Rashid family! Another great condo! We stayed in another condo (# 62 - 2498 Sweetwater Club Circle) last year and it was PERFECT also but we stayed in # 95 - 2478 Sweetwater Club Circle this year because the latter is on the main floor and my wife has trouble navigating stairs. They are both VERY, VERY nice. 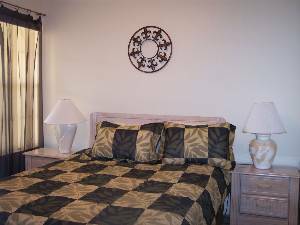 We were 2 couples and it was handy having each a washroom, it's very clean and well appointed, a great place to come home to (relax and unwind) after a long day at the parks or a hectic day of shopping. 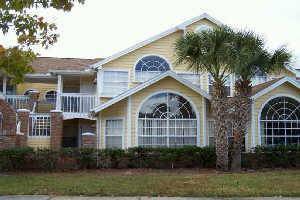 John's condos are our place to stay in Orlando! We very much enjoyed our stay. The location across from the tennis and volleyball court is convenient. 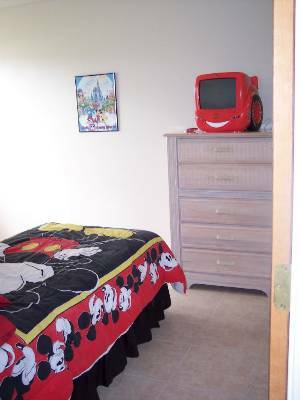 The kids loved the themed kids room especially the "Cars" tv/dvd player. We all had an abundance of room, even with the couch bed pulled out! The very best part was the price and the ease of the rental process with the owner. You don't have to go to an alternate location to get a key like with other rentals, it is there waiting for you at the location. It is close to 192 where you can find anything to suit your shopping needs. Hope you enjoy your stay as we did. Ws stayed in this unit for the first time and did not want to leave at the end of the vacation. It is actually a home away from home. Quiet, cozy, and most of all very comfortable. I would highly recommend this unit! We love the room in this condo! 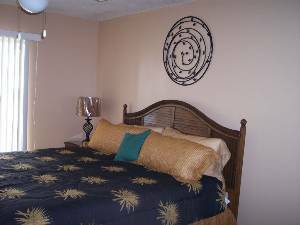 It's equipped with all of the amenities of home and so close to WDW. The owners and property management company are easily accessible and cared about our stay being up to our expectations. We are so excited to return next year and will do so with the peace of mind that comes with knowing our accommodations will be comfortable, clean and affordable. Deposit: $200.00 deposit is due at time of reservation. Payable with a major credit card. Other Fees: Cleaning fee is for (5) nights or less. Contact Name: John A. Vignone, Jr.